All homes currently listed for sale in the zip code 90815 as of 04/21/2019 are shown below. You can change the search criteria at any time by pressing the 'Change Search' button below. "This Beautiful Large Los Altos Pool home is perfect for those who like to entertain. It has an inviting open floor plan and a fantastic kitchen that looks into the family room and large dining area. Custom built ins for extra storage and top of the line Viking appliances create the perfect mix of functionality and style. French doors open to serene patio area, outdoor fire place, seating area with built in BBQ. Pool and spa are surrounded by lush landscape providing a unique feel. Side yard is perfect for storage or dog run. Large Down Stairs Master with Fireplace, Dual sinks, sunken jacuzzi tub, Rainforest Shower and stackable Laundry unit. The upstairs boasts 3 good size bedrooms with natural light, plantation shutters, and wall to wall closets. On the first level one of the bedrooms has been converted into an office with beautiful built in desk and bookshelves. This home has lots of unique touches. Beveled glass windows on the Staircase and in Family Room bring add character and light. Must see to appreciate." 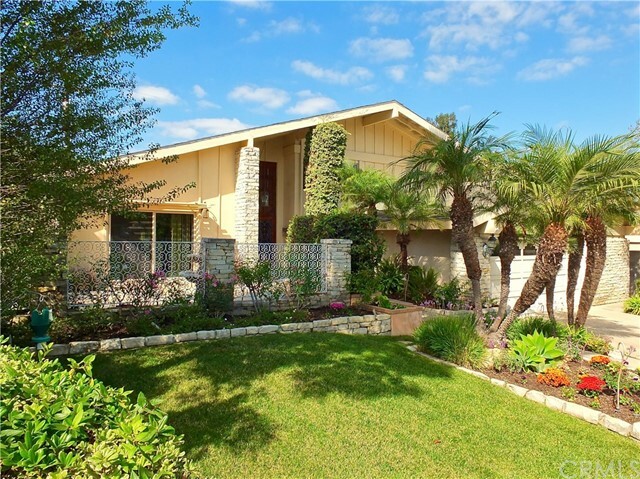 "Welcome to this wonderful four-bedroom home in the coveted Los Altos neighborhood. Every inch has been beautifully remodeled and oozes sophistication. The open concept design is perfect for family living and entertaining friends and the magnificent gourmet kitchen includes a gas stove, self-closing drawers, quartz counter tops, stainless steel appliances, a large pantry and over-sized island as well as an abundance of light which enters through the double paned windows showcasing the large dining and living spaces which are the focal point of the home. With the vibrant floors, recess lighting, wet bar, gas fire place, relaxing colors and trendy front door this home ticks all the boxes. The master bedroom is your own oasis with a luxury bathroom, walk in closet and French doors that open up to the patio for indoor-outdoor living. The home has three more great size bedrooms and upgraded bathrooms, central air and a security system. There are two outside patios perfect for entertaining or relaxing and plenty of shade provided by wooden awnings and lush plantation. The two-car garage has to be seen to be believed and includes the washer/ dryer and ample storage. This is truly a remarkable property in one of the top school districts and will make a wonderful home." "GRAND LUXURIOUS HOME! *Remodeled 5bedroom, 4bath *Master bedroom has a private deck that is great for lounging & watching the sunset -Also includes a wood burning fireplace *Private cul-de-sac location -NO HOMES ACROSS THE STREET *Luxurious living room *U.S. World report has ranked the local high school TOP 5% in nation *Central A/C *Ideal entertainment setup *21 approx. miles away from LAX *QUICK access to the freeway; Perfect for daily commuters *SPACIOUS 3000+ sq. ft. home"
"PRICE REDUCTION! ***Welcome to the highly desirable College Park Estates area. This 3 bed, 2 bath, 1517 sq.ft. home is situated on a 5890 sq.ft. lot on one of the best tree lined streets this neighborhood has to offer. Enjoy the spacious living room complete with large ledger stone fireplace, hardwood floors, and recessed lighting. Sliding doors lead out to a spacious backyard boasting a sparkling pool, outside shower, and entertaining patio space. Beautifully updated kitchen with farm sink, white cabinets and quartz counter tops. This family oriented kitchen opens up to the perfect dining room with new bay window and glass slider. Master bedroom with sliders enter out to the pool. Nicely appointed bath with dual vanities and custom stone walk in shower. Two additional bedrooms and an indoor laundry room with sink complete the interior of the home. Exterior highlights incorporate a considerable amount of elegant custom stonework. This home was remodeled 3 years ago with newer windows, exterior paint, gutters, facia boards, roof, and landscaping. 2 car attached garage, sprinklers and artificial turf. 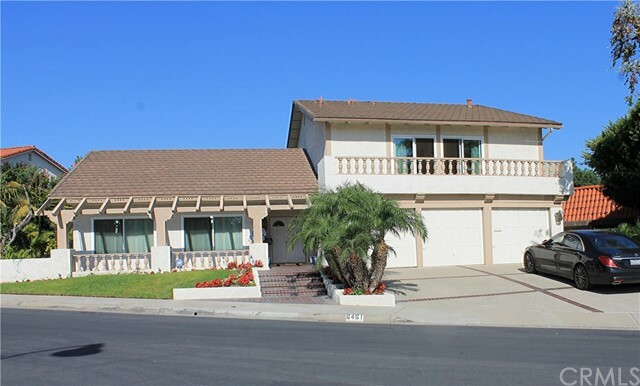 You will love the easy access to the neighborhood park, bike paths, freeways, and Cal State Long Beach." "Fabulous curb appeal and excellent location in College Park Estates! This one of a kind 4 bed, 2 bath, 2115 sq.ft. home has been customized with an added spacious family room and an additional 4th bedroom with high ceilings. Walk into a light and airy living room complete with gleaming hardwood floors, wood burning fireplace and sky lights. French doors lead out to the nicely landscaped backyard with tiled deck and lap pool. Kitchen with bar seating and attached dining area with additional sliders to the back yard. Large master bedroom with bay window and seating area. 2 additional bedrooms, 2 full baths and separate laundry room complete this wonderful home. 2 car attached garage with plenty of storage. 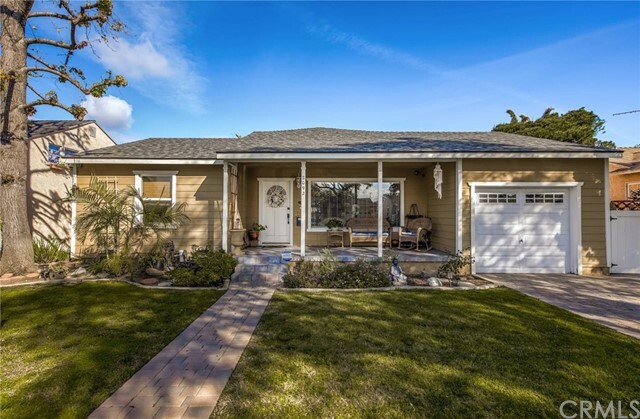 Walking distance to the community park with tennis courts and clubhouse, bike path that leads to Seal Beach, Cal State Long Beach, award winning schools and freeway close." "I like: That there is an apartment included. It has a separate entrance. It has a kitchen and a 3/4 bath. It would be great for an adult child, an elderly relative or perfect for extra income w an Airbnb. I have an Airbnb and get $1500 a month extra income. The seller likes: That it feels like an oasis from her upstairs master bedroom suite. There are no neighbors to see from up there. It is open and sunny and private. The seller likes her upstairs privacy. Her adult children use the downstairs bedrooms and the apartment that is attached to the house. The center Great Room or Family Room is the central location. It is off the kitchen. There is an upstairs landing and a small room that was designed as a nursery. The master bathroom and master closet are gigantic w a Jacuzzi tub and lots of marble. Seller likes: Highly sought after Minnie Gant Elementary, that the kitchen is open to the green private backyard. From the breakfast area in the kitchen to the large window at the kitchen sink it is the greenery and the lemon tree that she likes to look out upon. I like: that the large double attached garage has a person door into the Great Room. Oh, and there is a walk-thru library and a small office between the living room and the great room/family room and an inside laundry room off the kitchen. The seller also likes that upon entering the living room you can see all the way to the kitchen. It is a very open floorplan w/ high ceilings in the center of the house." 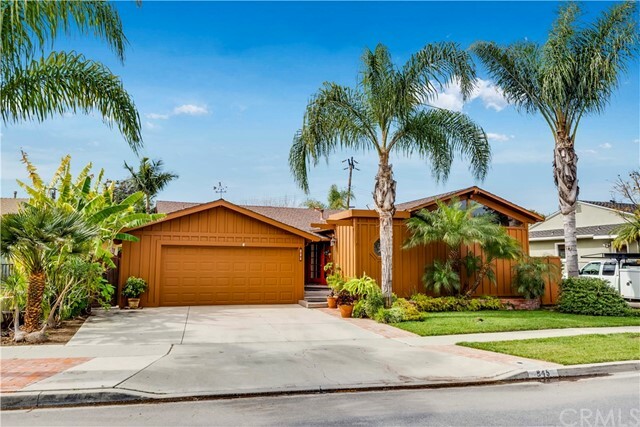 "Welcome to 1860 N College Circle located within an exclusive area in the Los Altos area of Long Beach. 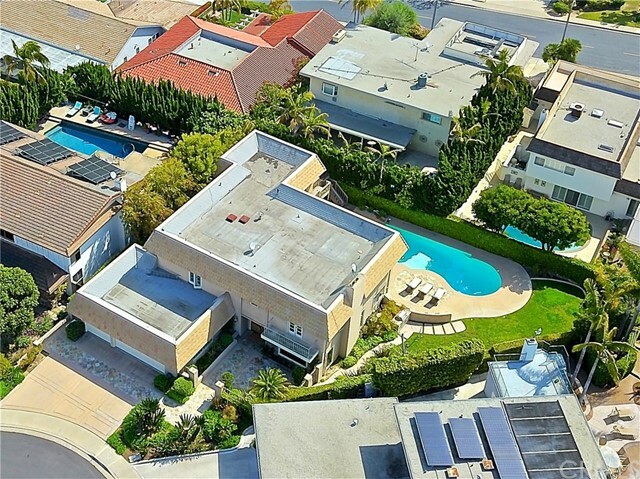 This custom-built home sits on a large corner lot with over 7,500 sq. feet offering you added privacy and the rare opportunity of living on this beautiful tree-lined street as very few homes have sold on College Circle within the past twenty years. Stepping into the living room you are greeted by a custom stone fireplace and three large picture windows with light flooding into the home illuminating the original hardwood floors found throughout. The adjacent formal dining room has dappling sunlight streaming in through the custom stain-glass French doors that lead out to a tranquil backyard offering a large shade tree, a wrap-around porch, a gazebo covered spa and a She Shed . The kitchen has a great floorplan with beautiful wood cabinetry, a pantry, generous granite counters, recessed lighting, and a casual dining area. There is a half-bath off the kitchen for convenience and another door leading outside. The 3 bedrooms all have carpeting with the master suite large enough for king-size furniture, and a walk-in closet. The master bath has a double sink vanity, a built-in dressing table, and a glass-enclosed step-in shower. Newer forced A/C and heat, dual pane windows, and fresh exterior and interior paint. Private backyard with wrap around porch and tons of shade. Close by are the Cal State Long Beach University and the Pyramid plus award-winning schools." 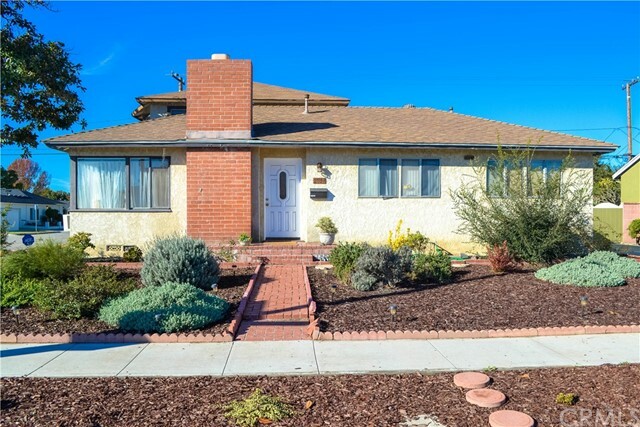 "WELCOME TO THIS 3 OR 4 BEDROOM 2 BATH CHARMER IN DESIRABLE LOS ALTOS NEIGHBORHOOD. LARGE COVERED SLATE TILE ACCENTED FRONT PORCH AWAITS THE SWING TO ENJOY THE SPRING/SUMMER NIGHTS. EXTRA LARGE PAVERED DRIVEWAY LEADS TO THE GARAGE. ONCE INSIDE THE OPEN FLOOR PLAN SAYS WELCOME HOME. 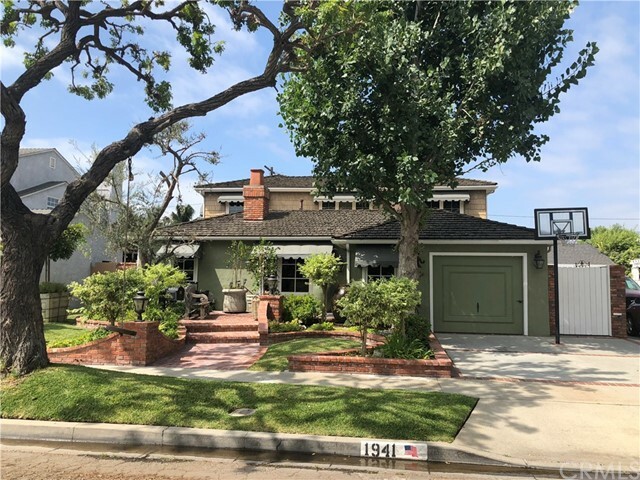 QUALITY ORIGINAL OAK WOOD FLOORS, CROWN MOLDING AND CEILING FAN WITH A LARGE PICTURE WINDOW TO LET THE SUN SHINE IN THE LARGE FORMAL LIVING ROOM. THE EATING AREA IS OFF OF THE REMODELED KITCHEN FEATURING STAINLESS APPLIANCES INCLUDING A FREESTANDING GAS RANGE, OVER THE STOVE MICROWAVE, STAINLESS DISHWASHER AND A LARGE CENTER ISLAND PREP AREA. THE STAINLESS SINK HAS A LONG EXTENDED GRANITE COUNTER THAN CREATES A BREAKFAST BAR FOR THOSE ON THE GO MEALS. THE KITCHEN OVERLOOKS THE LARGE FAMILY ROOM WITH A RAISED HEARTH STONE FIREPLACE TO WARM THE ROOM. 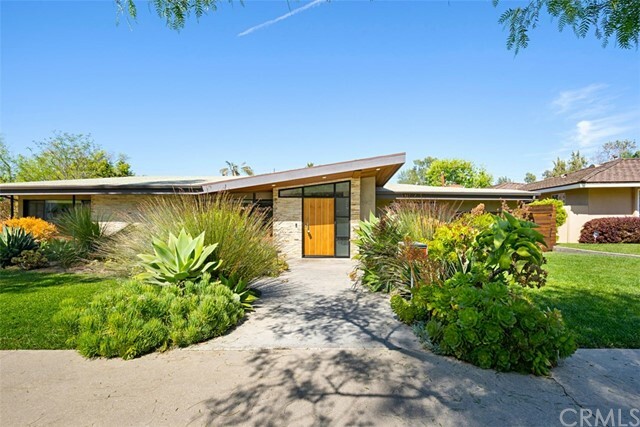 SLIDING GLASS DOORS OPEN TO THE SERENE REAR YARD FEATURING A LARGE CABANA ATOP A DIAMOND CUT CONCRETE PATIO. PLANTERS AND FRUIT TREES ACCENT THE YARD. THE MASTER BEDROOM HAS DUAL CLOSETS. AN ADJOINING BEDROOM HAVE CUSTOM BUILT-INS AND COULD BE A 4TH BEDROOM, RETREAT, OFFICE OR NURSERY. A FULL BATH HAS DUAL SINKS, A TUB/SHOWER WITH BENCH, ALL DETAILED IN TILE. AN ADDITIONAL FULL BATH SERVICES THE OTHER 2 BEDROOMS. CUSTOM LIGHTING, CEILING FANS, TILE FLOORS AND SKYLIGHTS ADD CHARM AND CHARACTER TO THE ROOMS." 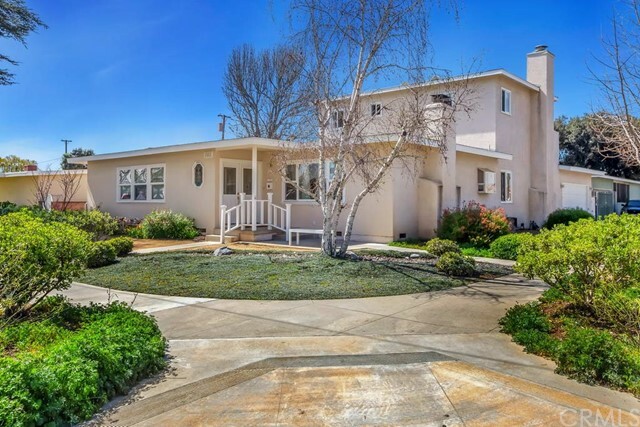 "Highly desirable Los Altos neighborhood showcases this wonderful home. Gleaming hardwood floors and walls of windows enhance this light and spacious floor plan. Kitchen has been remodeled and upgraded with custom cabinetry, granite countertops, tile flooring, skylights and stainless steel appliances. Other recent upgrades include interior and exterior paint as well as a new heater and dishwasher. 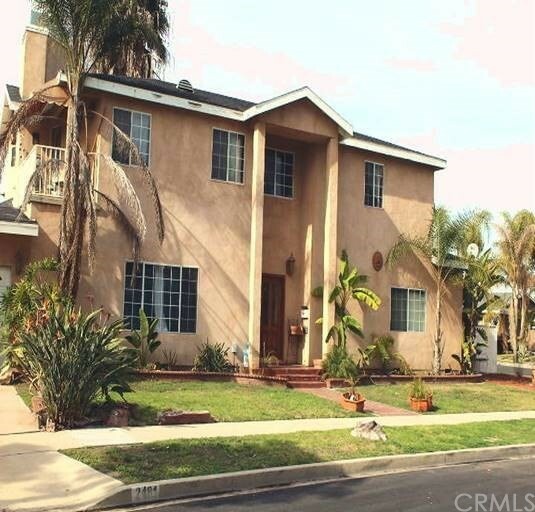 Three large bedrooms and two full baths including private master suite with jacuzzi tub. 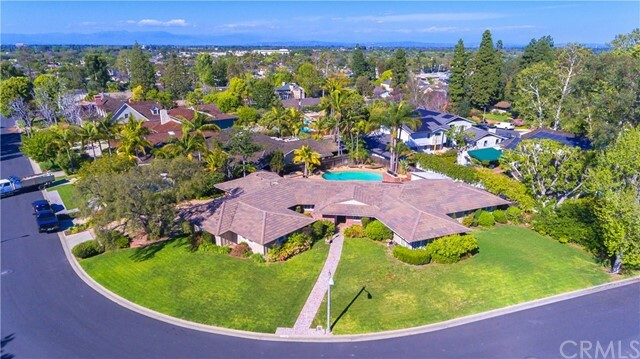 Family room offers beamed ceiling, fireplace and French doors that open to a lovely covered patio and spacious yard with both grapefruit and avocado trees. Upstairs features a large bonus room, ideal for playroom, office or studio. Get it while you can!" 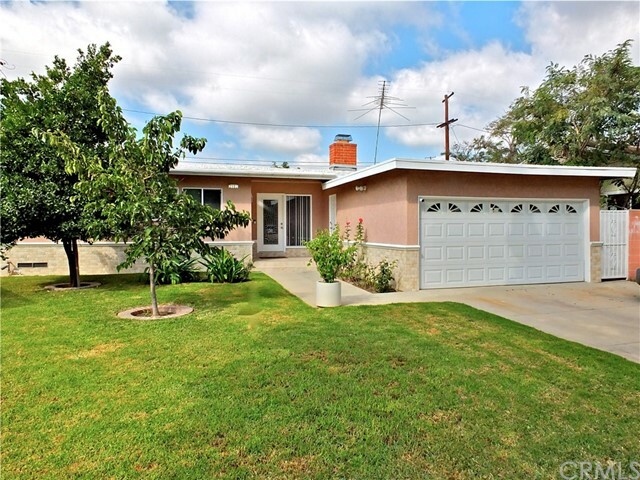 "This beautiful 3 bedroom with 2 bath in the sought after Lakewood Plaza has been completely remodeled. The home has been recently painted with new central heating/air conditioning, electrical, copper plumbing, double pane windows and doors. Beautifully landscaped front yard with new brick walkway and porch. 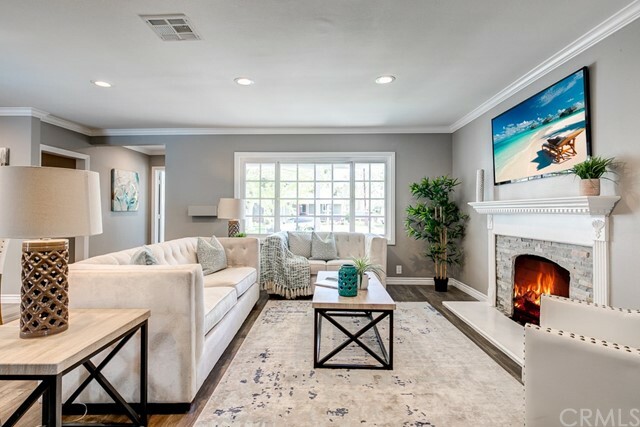 The home welcomes you into an elegant living room with oak wood floors, gas and wood burning fireplace, recessed lighting, custom shutters, crown molding and baseboards. Dining room and upgraded kitchen with granite counter tops, custom kitchen cabinets and stainless steel appliances. Large family room with large windows overlooking the backyard and inside laundry room. Large 2 car garage in the rear of the house with a long drive way. 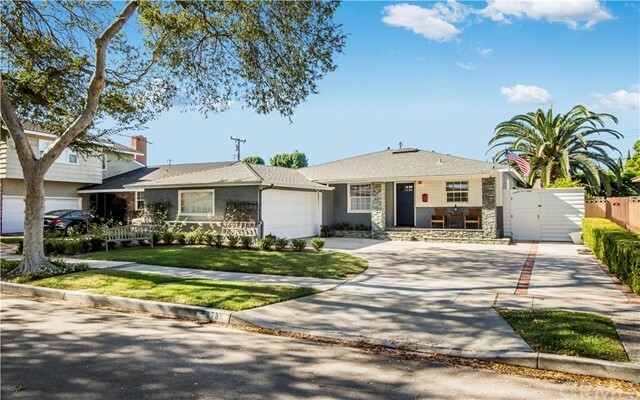 Located on a tree-lined street in a perfect location to walk to El Dorado park and close to freeways, shopping, golf, restaurants and Cal State Long Beach"
"Could this be the perfect home and neighborhood for you? Do you require a good location? Do you desire a completely remodeled, upgraded, turnkey home? A large single story with dual masters? A pool? Then I highly suggest you come see this home immediately because it won t be available very long. Welcome to one of the best places to live in Southern California. 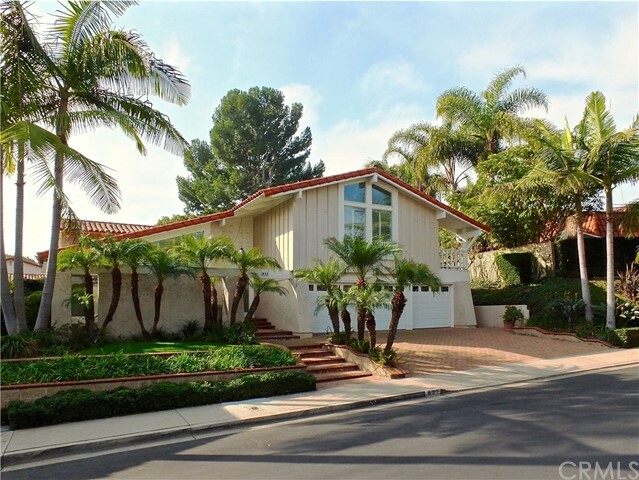 This large, beautiful single-story home has been completely remodeled from top to bottom, leaving no detail unturned. An inviting open floor plan, offering a spacious family room with fireplace, a dining area off the gourmet kitchen with quartz countertops, crisp white cabinetry, and stainless steel appliances. Separate dual master suites both opening to the backyard where you will find a sparkling pool. With new flooring, new bathrooms, new paint inside and out, this home is ready for you to just move into. Long Beach is a city rich in history and diversity, home to the Queen Mary, Aquarium of the Pacific, the Long Beach Grand Prix, and offers seemingly never-ending choices of urban & beach adventures. Located next to El Dorado Regional Park, El Dorado Nature Center and the 605 & 405 freeways. Discover why this home is the perfect blend of location, beauty, and wonderful." "25k price reduction!! !There is Nothing like this !! !Amazing property in the El Dorado Park South with over 250k in upgrades, beautiful drought tolerant landscaping led lighting throughout. Custom redwood fence, mahogany modern front door. No expense was`spared in upgrading this Mid Century interior property, custom windows, raised ceiling, sliding doors, recessed lighting and polished cement floors, designer like kitchen with quarts counter tops, dark walnut butcher block bar top, Island stone glass tile backsplash, Viking appliances, cooktop, double oven, refrigerator and dishwasher. Futuro island hood, Kohler sink and brushed stainless faucet, Brokhult cabinets & under cabinet lighting. Master bedroom has large step in shower, with bench and island stone glass tile and natural stones, property has FA heat and AC, copper pluming and upgrated electrical,custom closets,tank less water heater. Zen like back yard is just as impressive as inside for entertaining. Custom pavers and hedge through backyard for privacy. 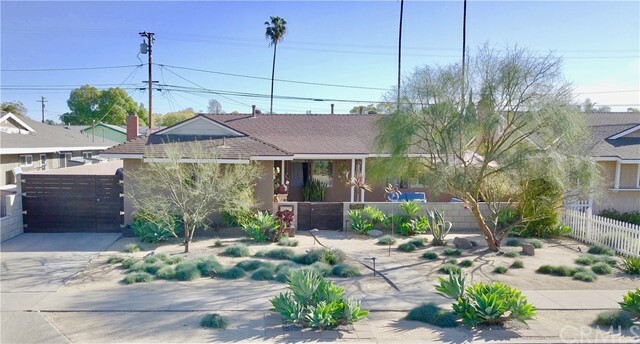 String lights and sail shades, with a Caldera spa and outside shower.Conveniently located walking distance to CSULB,El Dorado park & Golf course,library.Close to 605/22/405 freeways,bike trails and restaurants." "Do you Need a Large Home for Your FAMILY...THIS IS IT !!! 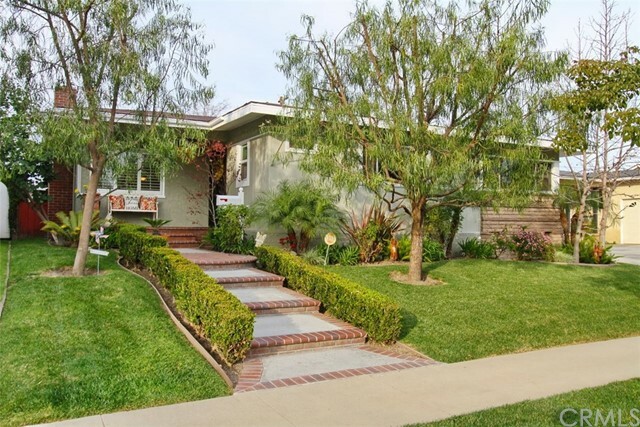 Located in one of Long Beach's Most Finest Neighborhoods..LOS ALTOS. 2 MASTER SUITES !!! Walk into a Large Living Room with a Fireplace and Dining Room...Kitchen opens to a Family Room with a Brick Fireplace, Kitchen also enough Room for a Kitchen Table...Over Sized Master Suite with a Private Bath and Balcony. A Downstairs Master Bedroom with a Bathroom..Updated Kitchen with Quartz Counter Tops, Remodeled Bathrooms, Newer Windows, New Interior Painting... Slider Glass Door Leading to your Private Back Yard from the Family Room. 2 Car Garage, Fruit Trees, Measure for your RV PARKING !!! 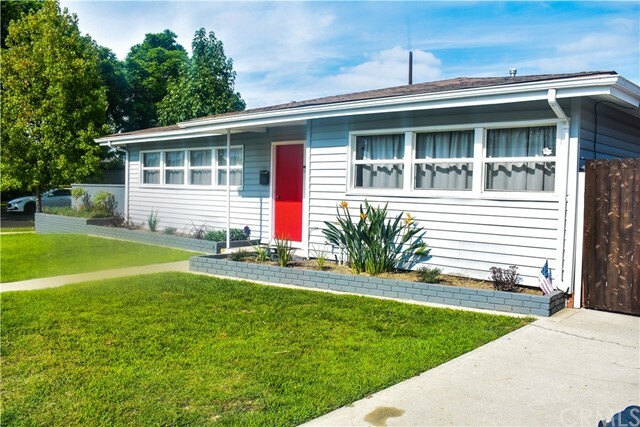 Low Tolerance Professionally Landscaped Front Yard.. Centrally Located Close to Schools, Parks, Shopping, Freeways, USCLB, Long Beach City College and Long Beach Airport ! THIS HOME HAS SOLAR, AND IS PAID IN FULL BY THE SELLER...For you to Enjoy !" 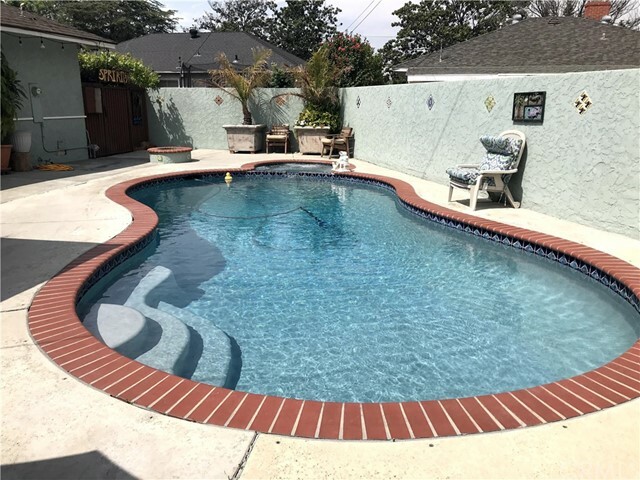 "This Pool home is ready for it's new family, to enjoy the hot summer!!! Located in the quiet and friendly Stratford Square Neighborhood, this home shows pride of ownership, It won't last! Must see to appreciate!!" "Smart & Beautiful!!! 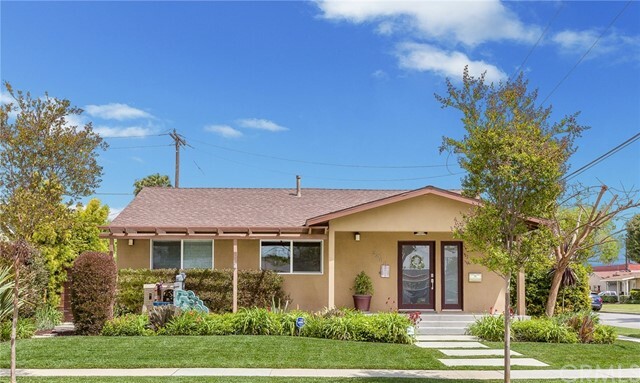 This beautifully remodeled home is also Alexa ready for you! In this home, Alexa will be capable of doing much more than just play music from you music list or tell you what's in the news. Alexa will be able to control the thermostat, outside lights, sprinklers and you will be able to see who is at your front door with your smartphone with the Ring doorbell. This newly remodeled single story home has 3 bedrooms, 2 baths, family room and 2 car garage, den/office and a separate stand alone shed for extra storage or workshop. The newly remodeled gourmet kitchen has beautiful new granite counter tops and backsplash, a new 36 Bertaz z oni range, Bosch dishwasher, Possini Euro lights, retextured walls/paint, laminate floor, and ceiling fans in all bedrooms, newer double pane windows with central air conditioner/heater and a beautiful marble gas/wood fireplace. 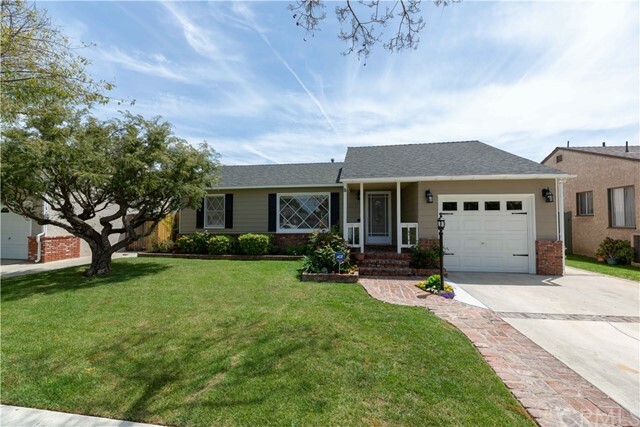 In addition, this beautiful home is located in a highly desirable private cul- de- sac community in Los Altos within a highly rated school district, which includes Emerson Parkside Acadmy, Stanford Middle School and Millikan High School. 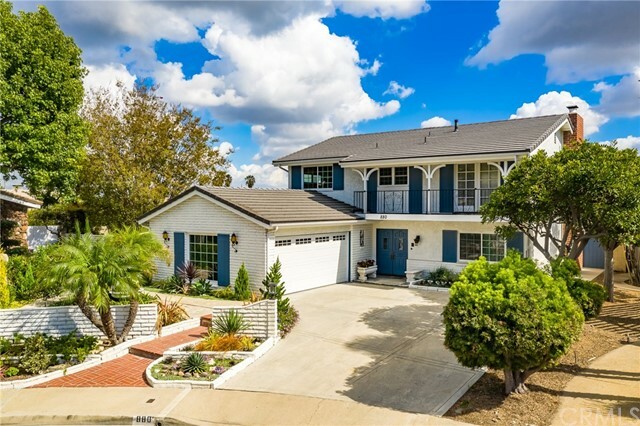 It is also located within walking distance to grocery stores, coffee shops, restaurants and close to the 40 5 and 605 freeway Talk about ideal location!" "This Corner Lot property features 3 Spacious Bedrooms, 2 Remodeled Baths, Family Room with a Fireplace, a separate living room with lots of natural light, Updated Kitchen with white cabinets and granite counter tops, a Large Private Side Yard, Hardwood Floors, 2-car garage with direct access and much more. The family room also features french doors that leads to the private backyard where you can enjoy your cup of coffee or entertain your guests. 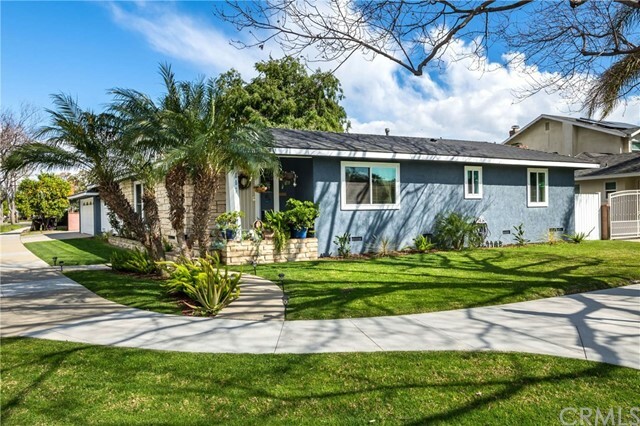 This bright and airy home has recently been remodeled and is ready for you to call home. Ideal location that is close to schools, parks, stores, and dining. Don't miss the opportunity to make it your dream home! This home is a definite must see."